You might be reluctant to try to resell your old IT equipment because you're afraid someone might get ahold of your personal information. 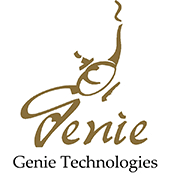 That's why Genie Technologies uses high-quality equipment to wipe your data, ensuring that no one will gain access to your information. We strive to provide reliable, speedy hard drive shredder and destruction services in Washington D.C. and the surrounding area. Even after you delete a file, it can still be easily recovered from your computer. Genie Technologies has a state-of-the art mobile AMS-300HD that will shred hard drives of all sizes and types, including SSDs, CDs, cell phones, and backup tapes. Most importantly, this effective hard drive shredder is compliant with HIPPA, PC, and NSA. Our hard drive shredder will shred media down to a point where it is almost impossible to retrieve any data, and Genie Technologies can shred the media on-site or at our location. You'll have peace of mind when you use our asset redeployment services. 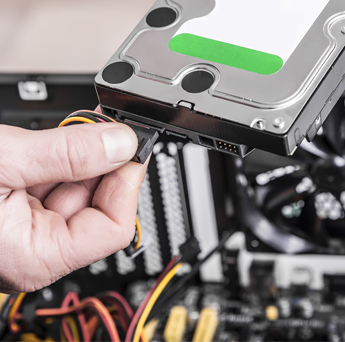 Formatting a hard drive or reinstalling an operating system in no way ensures that your data is not accessible. In fact, the data can be accessed with readily available tools. Trying to wipe the drive yourself can take a lot of time. We offer a 100% guarantee that all data will be wiped, and—if desired—we can provide you with a serialized report.